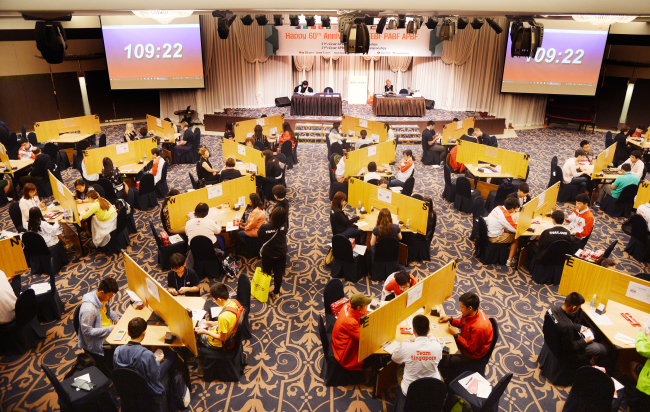 The 51st Asia Pacific Bridge Federation championship opened in Seoul, Monday with 69 teams from 16 nations taking part. The championship, which runs until June 7, has six categories: Open, Juniors for those below 25, Seniors for those over 60, Youngsters for those below 20, Ladies without age restrictions and Girls for those below 25. The teams in the upper tier will enter the next international championship to be hosted by the World Bridge Federation. Players took their seats at the bridge game tables in the grand ballroom of Seoul’s Riviera Hotel early Monday, waiting for the signal to begin. As the players began to deal their cards at 9 a.m., silence fell in the arena save for the camera clicks. In Korea, the game has a long way to go before becoming a household name. 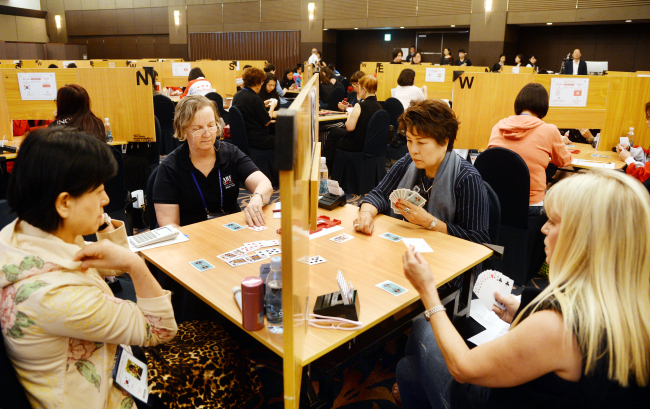 Only around 1,000 people play bridge here, according to the Korea Contract Bridge League, much fewer than that of other neighboring countries. Kim Yoon-kyung, president of the KCBL, said in her welcoming message that the day will come when bridge borders between countries would disappear and that more people will pursue and enjoy the game for its sportsmanship and spirit. 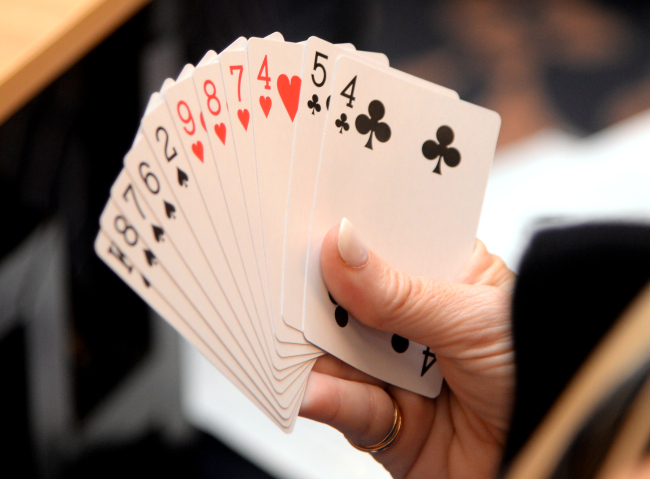 Bridge is a card game played by four players, two against two. As the game is played in silence, it requires fast thinking and unspoken negotiation skills. For this, the game is deemed to help sharpen players’ acumen and possibly prevent dementia in seniors. Bill Gates and Warren Buffett regularly form a team to compete in contract bridge games. Former US President Dwight Eisenhower played bridge every Saturday at the White House. China’s Deng Xiaoping was once an Honorary Chairman of the China Bridge Association. The championship here marks the 51st installment, but its history is longer at 60 years, as the first event was held in Manila in 1957. Organizers said it is notable that Seoul hosts the game’s 60th anniversary event. This is the second time Korea hosted the event after 2005. HiCar Hyundai Insurance and KCBL co-hosted the event, with Daesang Corporation joining as a major sponsor.